Hey Guys! 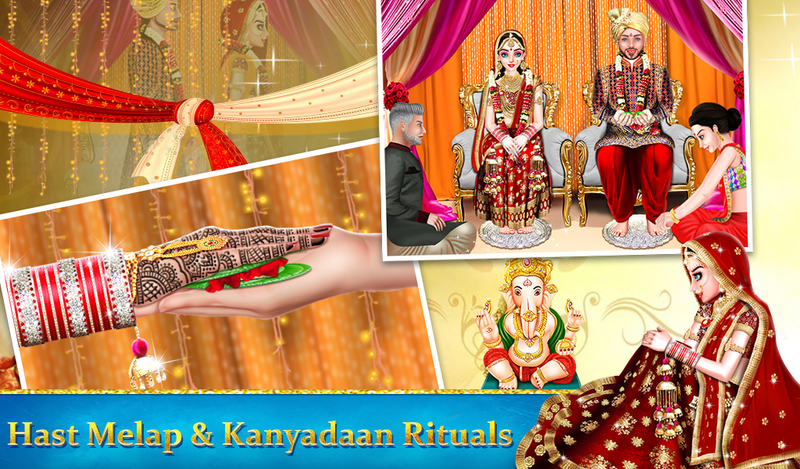 Your Favorite game " The Big Fat Indian Wedding Ritual " is now in also Hindi language. So what are you waiting for? 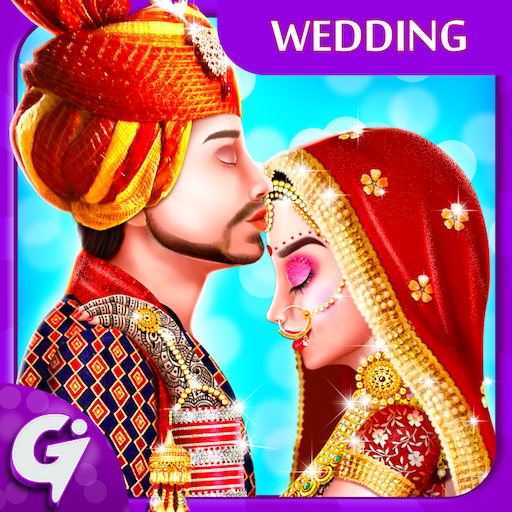 Play this amazing Wedding game and experience whole game in Hindi Language. Indian rituals are the famous rituals in all over the world. 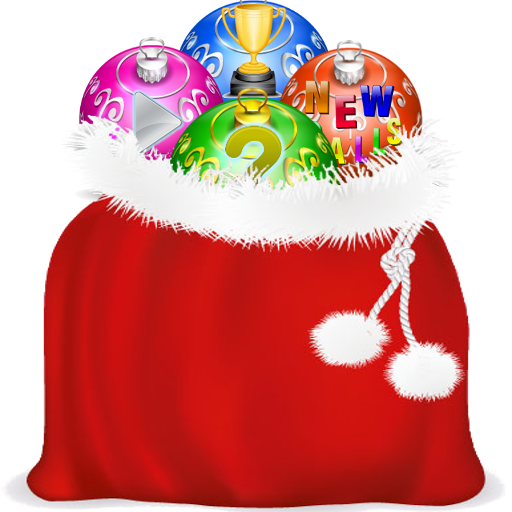 Enjoy rituals, firstly play our game - "The Big Fat Royal Indian Prewedding Rituals" then enjoy "The Big Fat Royal Indian Wedding Rituals" - game & lastly enjoy game - "The Big Fat Royal Indian Post Wedding Rituals". It is important to look best on that special day. So apart from her clothes and jewelry, her look is also important. 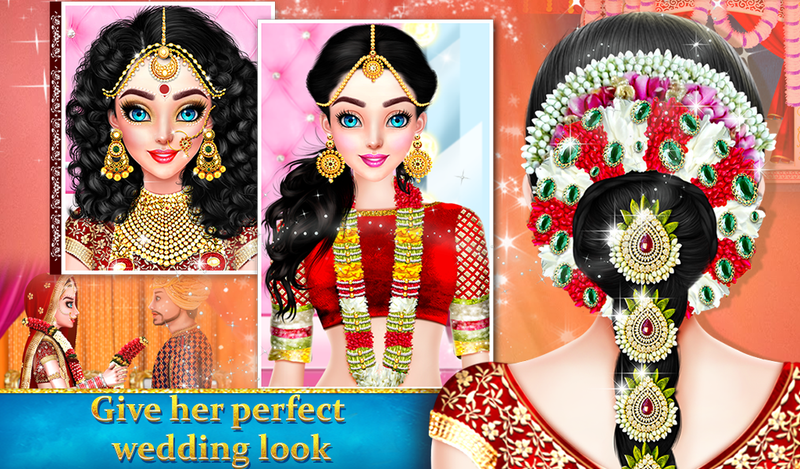 So do the best make up for a wedding of your choice in this Indian wedding makeup game. Gajara is a flower garland which is used to enhance the beauty of hair of women. 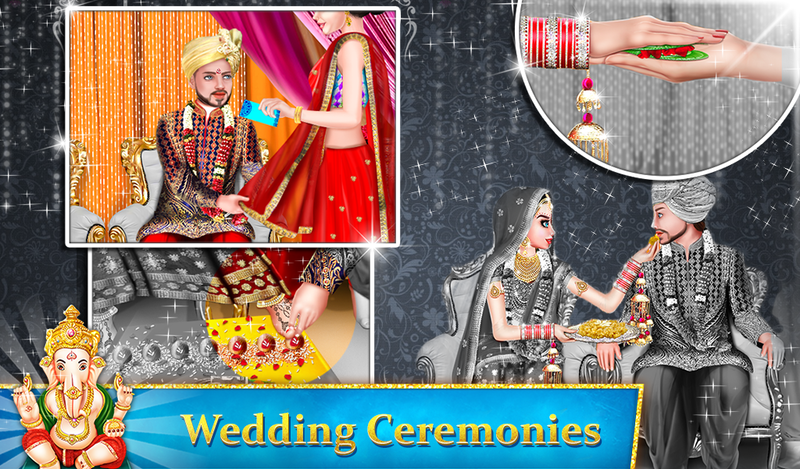 Design a customize gajara in this indian wedding salon game. 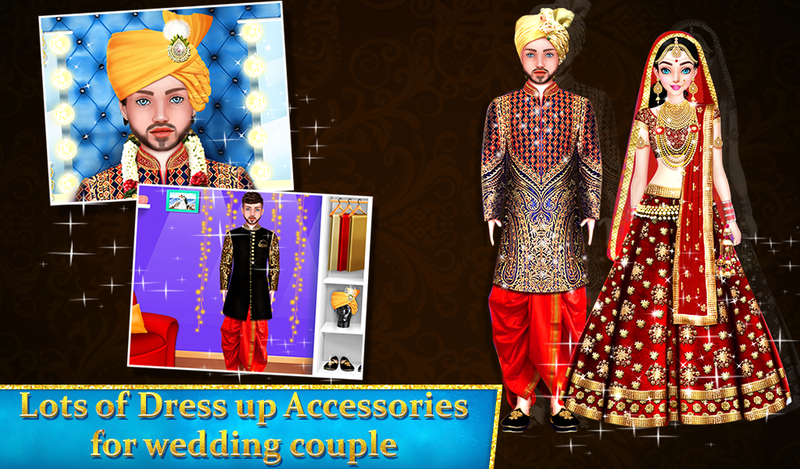 Use your fashion talent in this indian wedding dress up game & prepare her with gorgeous outfits to make her look beautiful. Indian wedding costumes give the grooms an advantage of dressing up with different possibilities. 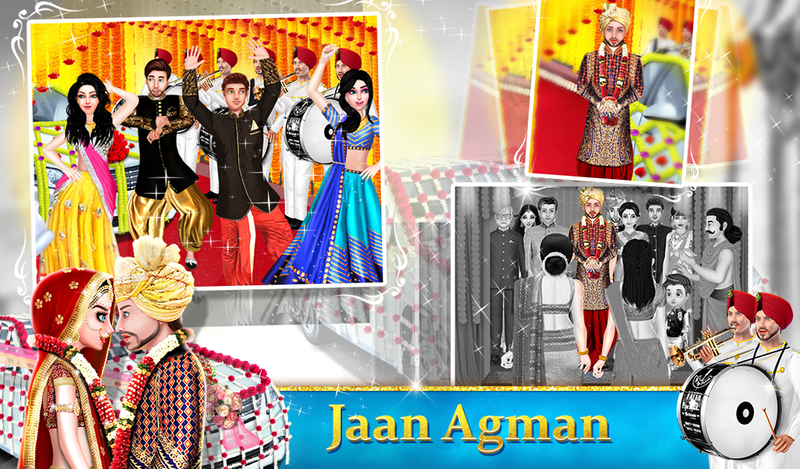 Select traditional wear for a groom from the wide range of styles in royal Indian wedding game. Varmala consist of a variety of colorful flowers like Roses, marigolds, & orchids are all used to create the garlands used for the ceremony. Mandap ceremony holds at importance on the day of the wedding. 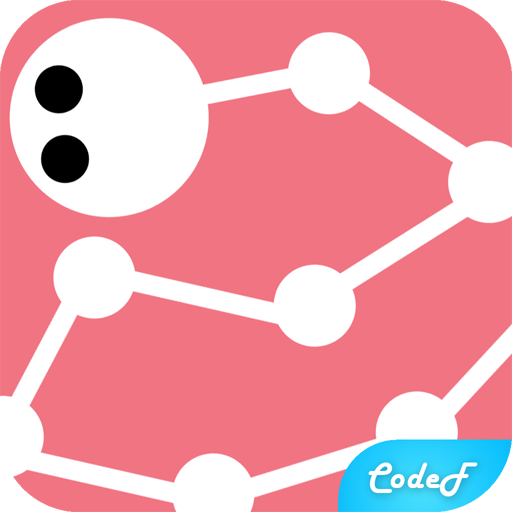 Design a Mandap in this wedding fashion game. Wedding car decoration involves a lot of floral arrangements which consists of Roses, Marigold, Carnations. The Jaan or Baarat, the singing & dancing procession consisting groom's family & relatives, reaches to the marriage venue. The bride's family welcomes them with sweets & aarati, to express their gratitude. A doli is used to carry & bring bride to the mandap. It's a cot suspended by four corners from a bamboo pole. 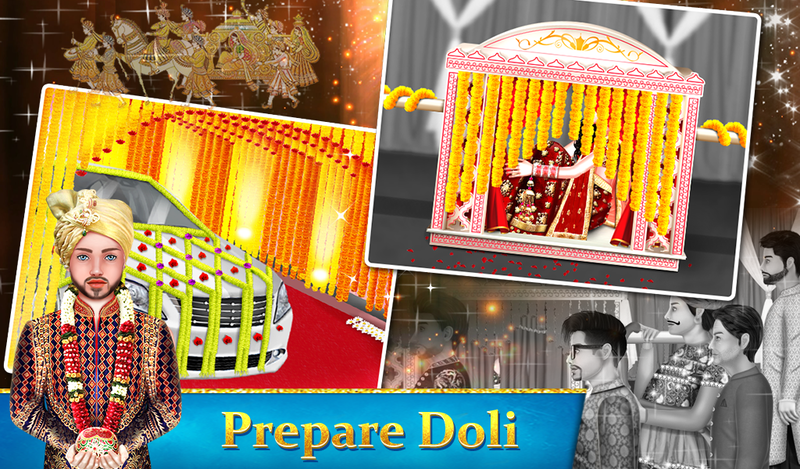 Decorate it with accessories in this Indian Wedding Games & Doli Ceremonies. A bride comes into the mandap sitting in a doli and then it is followed by the marriage ceremonies. Kanyadaan is an important act in any Indian Hindu wedding. It meaning ìgiving away the brideî is a symbolic marriage ritual for the Bride's parents & the couple. At this time, the couple exchange fresh flower garlands, signifying the acceptance of one another & to pledge their respect for one another as partners in life. The Hast melap is translated from Sanskrit to mean 'joining of the hands'. The couple is united with the union of their hands in the presence of Agni Devta (the Lord of Fire). The bride's chuney is tied to groom's scarf as a symbol of their union. It is called Gath Bandhan. Bride & the groom are initially asked to remove their shoes before stepping inside the mandap where the wedding ceremony takes place. During this time, bride's sisters steal the groom's shoes & promise to give the shoes back if they get a fee in return. 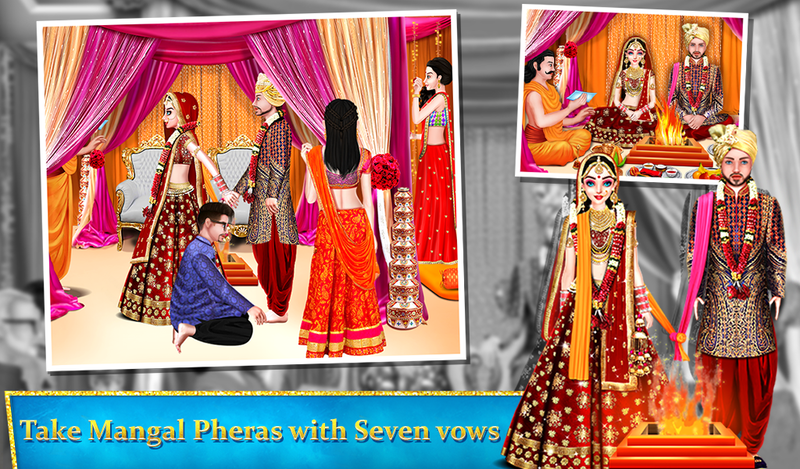 During the Mangal pheras, the couple circles the holy fire seven times with their wedding scarves tied together. They reiterate the aspirations of their married life as each step signifies a specific promise. The bride's mother brings a couple of sweets(Kansar). The couple offer Kansar to one another to symbolize their union. In this ritual seven married women from the bride's side move around the couple and whisper blessings. It means that may your husband live a long life and be with you forever. The Mangal Sutra is a sacred necklace made from black beads that the groom ties around the bride's neck. Then applies Sindoor in the center parting of the bride's hair.